The holidays are just around the corner which means it’s time to start thinking about gift ideas. I’ve pulled together a list of over 50 gift ideas that would be perfect for any boss lady – whether she’s an online entrepreneur, work-at-home mom, or corporate biz babe. 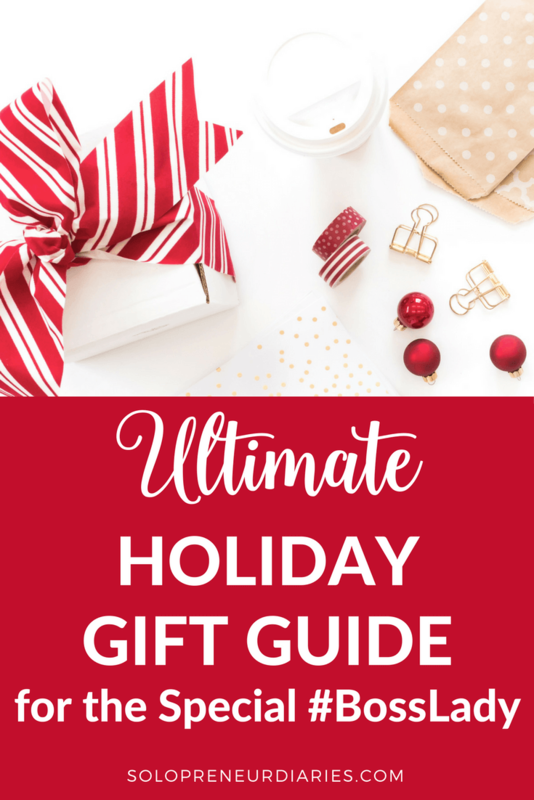 This boss lady gift guide is broken down into categories, so just click on a link in the Table of Contents below to jump to a specific section. Note: some readers have reported that they can’t see the images below. If that’s happening to you, click here to go directly to my Amazon Influencer storefront. Who doesn’t love a great planner? These planners have blank pages & calendars just waiting to be filled. Or how about a planner that guides her in planning her year? Headphones and earbuds allow you to listen to tutorials, podcasts, or the dreaded corporate training without annoying the people around you. Phone & camera tripods are essential for recording good-quality video and for taking great flat-lay pictures. For the online entrepreneur who wants to do live or recorded video or start a podcast, a good microphone is a must. The successful boss lady is always learning new strategies. Courses are more expensive than many other items in this guide, but a course may be the perfect gift for the online entrepreneur in your life. Making Sense of Affiliate Marketing – A soup-to-nuts guide to affiliate marketing. Perfect for the boss lady who wants to start earning passive income. Pin Practical Masterclass – A really good “how to do Pinterest” course with an emphasis on using Pinterest to grow your email list. Book Boss – For the boss lady who wants to successfully write and launch an e-book. List Building Academy– This course is laser-focused on one thing: developing an email list that builds your business. Traffic Transformation – Strategies for the boss lady who wants to grow the monthly page views to her blog or website. Whether she works at home or in an office, every boss lady needs a cute mug for her morning (or all day!) coffee or tea. Spruce up her office with these fab supplies! For the boss lady on the go. I hope you enjoyed the boss lady gift guide and found some gift ideas!